Remembering Yesterday, Caring Today - Workshop On Reminiscence Therapy is an event that took place on 03-Oct-2010 in Hyderabad. The Alzheimer's And Related Disorders Society of India (ARDSI) - Hyderabad Deccan, in association with La Makaan, is organizing "Remembering Yesterday, Caring Today", a half-day workshop on reminiscence therapy. The workshop is being conducted by internationally-renowned expert Pamela Schweitzer, who is the director of European Reminiscence Network. The session is on 3rd October, from 9:30 am to 1pm, at La Makaan. Reminiscence refers to recollections of memories from the past. As a therapy, it gives the elderly person a sense of value, importance, belonging, power and peace. Reminiscence activity is used frequently in our own lives to cope with stress, injury to our self image, to create a feeling of intimacy and to give a special meaning to contact time with others. Pam Schweitzer has spent the last 30 years developing reminiscence work in the UK and across Europe. She founded Age Exchange Theatre Trust in 1983, and was its Artistic Director for 23 years, creating 30 original reminiscence theatre productions. Schweitzer opened the first Reminiscence Centre in London in 1987 as a centre for creative reminiscence projects and professional training courses, and in 1993, she established the European Reminiscence Network. For the Network, she has co-ordinated international festivals and conferences and initiated collaborative action research projects. 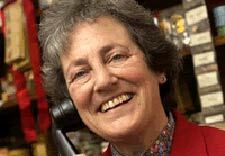 In 2000, Pam was awarded the MBE for services to reminiscence. Pam Schweitzer is currently a consultant and freelance practitioner in the fields of arts and older people, communication in dementia care, inter-cultural work and international co-operation on creative projects. She is an Honorary Research Fellow at Greenwich University. Entry is free. Please contact the venue at 98490-26029 for further details. Be the first to comment on Remembering Yesterday, Caring Today - Workshop On Reminiscence Therapy! Just use the simple form below. fullhyd.com has 700,000+ monthly visits. Tell Hyderabad what you feel about Remembering Yesterday, Caring Today - Workshop On Reminiscence Therapy!